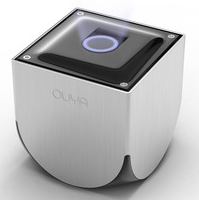 The once and future king of mini-consoles has made a bit of a splash in the news the last few weeks, but for those of you who actually own and use an OUYA, there's good news in the form of a software update. The company posted a full changelog to the official blog yesterday, and the third major update should be making its way to your console now if you don't have it already. The developers focused on better game organization in the Discover window, among other things. An older version of the interface, from Ryan Whitwam's OUYA Review. After you install a game, it will now automatically go to the back of the list in Discover, making sure that you only see games that are new to you when browsing for new titles. You can also manually send a game that you don't care about to the bottom of the list by pressing in the right thumbstick. (That's pretty darn cool - hey Valve, Steam could use something like this!) OUYA will now flash a notification when a game has finished downloading and another when it's done installing, not unlike a standard Android device. A handful of other changes include the usual bug fixes plus an "Easter egg" teased in the changelog. 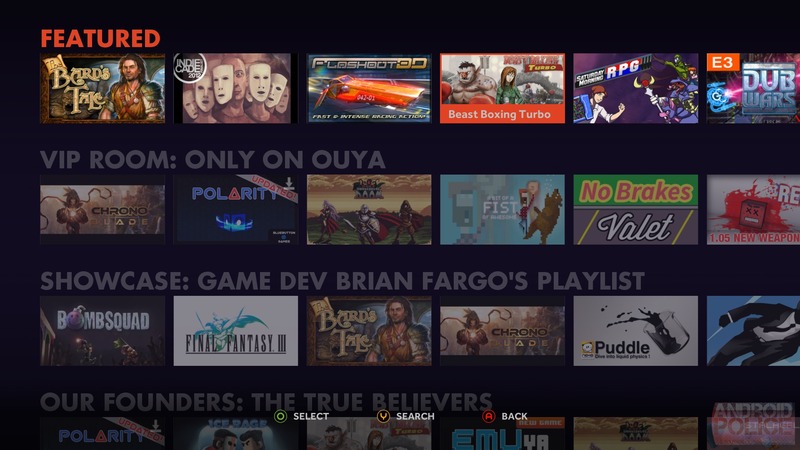 OUYA owners in the UK and Europe will be glad to hear that the company has added support for purchases in pounds sterling (GPB) and Euros, though the actual functionality won't be live until next week. Unfortunately it looks like those who have already set up their devices and OUYA accounts won't have any way to transition to their local currency. The changelog says that the feature will only be enabled for new users. And lastly, the developers note that they are working on adding support for external storage using the OUYA's onboard USB port. There is currently no ETA for this feature. Installed games are now moved to the back of their row in DISCOVER, so now it’s easier to find games you don’t already have. You also have the option to Bury (manually push a game to the back of a row) by pressing the right thumbstick (R3). DISCOVER is your playground…go nuts! Our intern has hidden an “Easter Eggs” menu somewhere on the OUYA… can you find it?